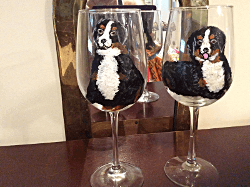 Clearly Susan has wonderful dog lover gifts that a dog lover will love as an original one of a kind rememberance from you. 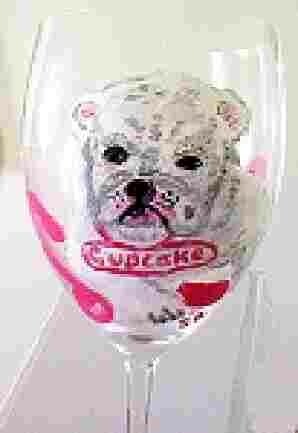 I had a request from a son who wanted to do something nice for his mother, because she just lost her beloved dog. 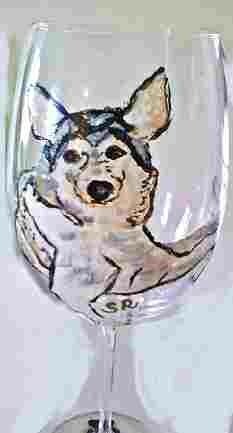 So we made a lasting memory that she will always treasure by hand painting her "Lu Lu" on a dog wine glasses. 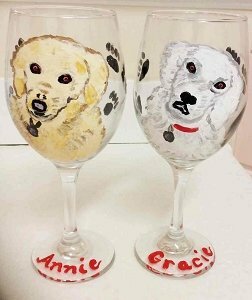 We offer other dog gifts with hand painting your dog collector plates, platters and dog ornaments.